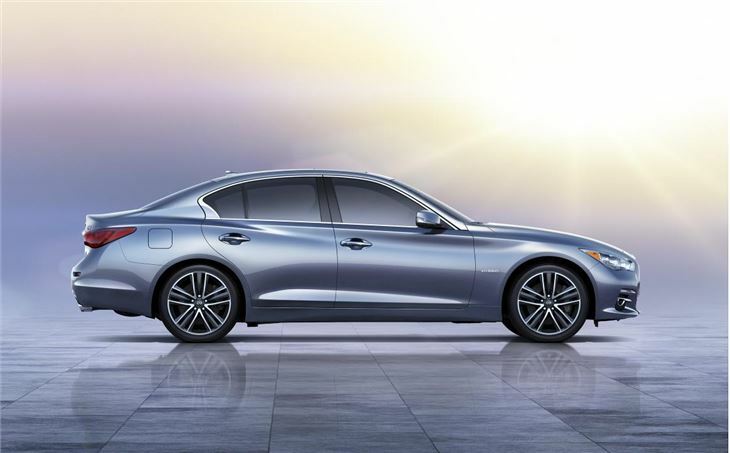 Infiniti is launching what it believes to be its most convincing executive saloon yet. The Q50 has sharpened-up styling while the brand says the handling will be greatly improved over the car it replaces, the G Saloon. 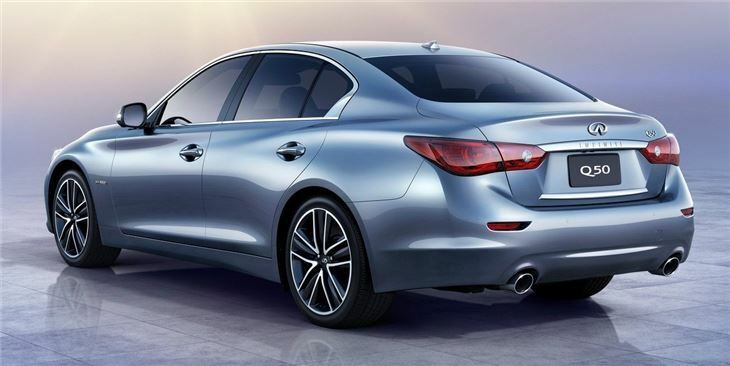 The new saloon will be initially offered with a pair of V6 engines, a 3.7-litre producing 328PS and a 3.5-litre hybrid. But the range will be wider than this, with a further two engine's details to be revealed at the Q50's European launch at the Geneva motor show in March. Like its predecessor, the Q50 will feature a seven-speed automatic transmission, with a choice of rear-wheel drive or four-wheel drive. The Q50's emphasis will be on dynamics and safety. It comes with an adaptive steering system, which is able to independently control both tyre angle and steering inputs faster than a mechanical system can. Infiniti claims this reduces driver fatigue because it takes away many of the small direction inputs the driver has to make. The weight and ratio of the steering system can also be changed by the driver. 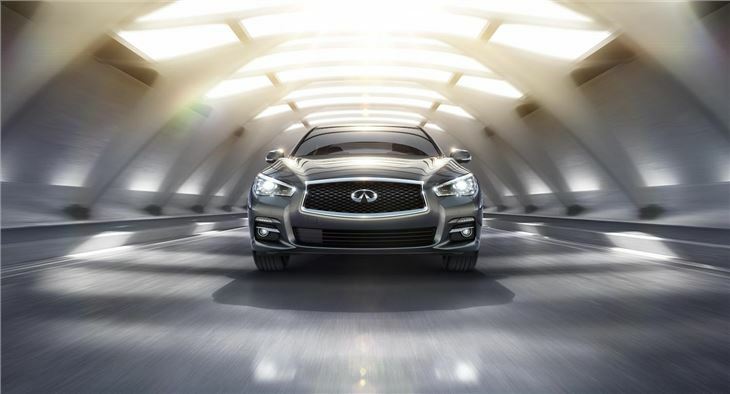 Also included in the Q50’s safety repertiore is a new lane departure warning system, which monitors lane changes. It works in conjunction with the adaptive steering to ensure that the driver is keeping to his intended lane. Noise-cancelling technology is also included. Inside, it's well equipped with the Infiniti InTouch interface for its infotainment system, dual touch-screen displays and smartphone connectivity. There is also a Bose audio system with as many as 14 speakers, and 360-degree camera coverage for its parking system, which also includes Moving Object Detection. 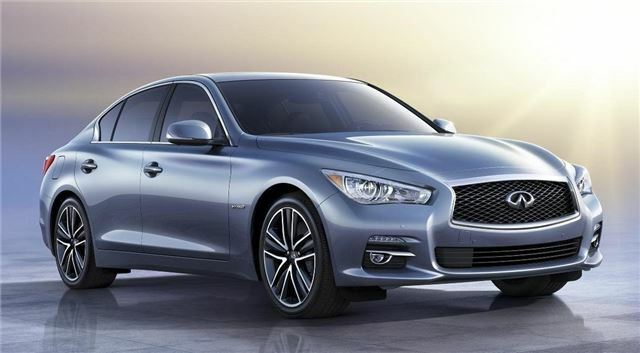 Full details of the European-specification Q50 will be unveiled at the Geneva Motor Show in March 2013 and will include different powertrain offerings, thought to be a pair of four-cylinder engines - one petrol, the other diesel.